Tea Bag Stress: I Think I Have the Wrong Size Tea Bag! Worry no more – we’re here for you with instructions and a handy conversion chart so you’ll always know how much water and how many tea bags to use. After all, we’ve been brewing tea for more than 100 years, so we know how to get it right. 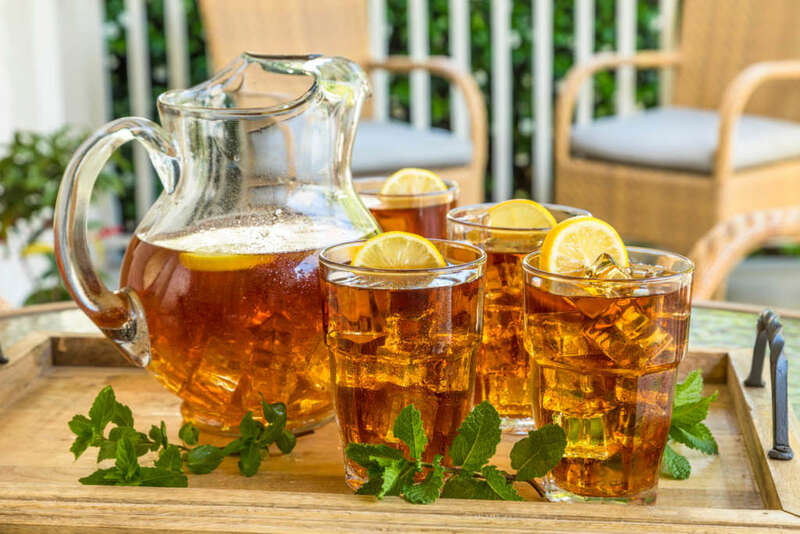 Our iced tea bag sizes reflect the ways generations of loyal customers have served and enjoyed our tea – from an individual glass of iced tea on the porch to party-size gallons of sweet tea at the church potluck. But still, there are times when the tea bags in your pantry don’t match up with your iced tea recipe. It happens. If you’re in doubt, use the following instructions to make sure your desired amount of tea is brewed exactly right with the tea bags you’ve got on hand. As for our handy Luzianne® Iced Tea Bag Conversion Chart (see below) – well, we think it’s a good idea to keep it handy! Boil 8 fluid ounces of water (1 cup), pour over 1 Luzianne® Cup Size Iced Tea bag. Brew 3-5 minutes and sweeten to taste. Pour into a glass of ice (of course you can also serve it hot). Got a brewing machine? Use a Luzianne® Unsweet Tea or Sweet Tea Single Serve Cup. For 1 quart (32 fluid ounces or 4 cups): Bring 2 cups of cold water to a boil. Remove from heat and pour over 1 Luzianne® Family Size Iced Tea bag. Steep 3-5 minutes, remove tea bag and sweeten to taste. Add 2 cups cold water, stir and chill. Pour into glasses of ice. Want to fill up your 2-quart pitcher? Here’s the recipe doubled: For 2 quarts (64 fluid ounces or 8 cups), bring 4 cups of cold water to a boil. Remove from heat and pour over 2 Luzianne® Family Size Iced Tea bags. Steep 3-5 minutes, remove tea bags and sweeten to taste. Add 4 cups cold water, stir and chill. Pour into glasses of ice. For 1 gallon, boil 1 quart water (32 ounces or 4 cups). Remove from heat and pour over 1 Luzianne® Gallon Size Iced Tea bag (or 4 Family Size or 16 Individual Cup Iced Tea bags). Brew 3-5 minutes and sweeten to taste. Add 3 quarts cold water, stir and chill. Pour into glasses of ice.